One of the most common birth defects, affecting as many as 3 in every 1000 babies, is hereditary deafness, according to the American Academy of Otolaryngology. 360 million people have some type of hearing loss worldwide . Hearing aids and cochlear implants can improve hearing in some cases by amplifying sound yet these don’t treat underlying issues of the condition. Mutations of over 70 different genes have been found to cause hereditary deafness. 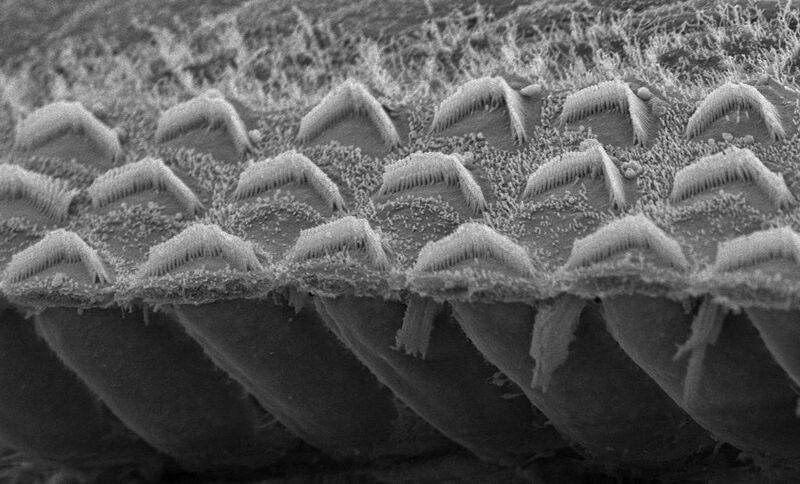 For instance, faulty TMC1 genes prevent the opening of microvilli channels between the inner ear and the brain, preventing electrical signaling and hearing. Now, researchers have found a way to fix this and have been able to restore the hearing of formerly deaf mice. The team at Harvard Medical School is the first to treat hereditary deafness with gene therapy. They developed an innocuous virus to carry healthy TMC1 genes and injected millions of copies into the inner ears of mice with the TMC1 mutation. The treated mice then had the expected electrical signaling and were visibly startled at the sounding of a loud noise. Going forward, the researchers wish to refine their new treatment. They were able to effect 90% of cells in the inner ear but only 10% of outer ear cells, where the fine tuning of hearing occurs (picking up variations in sounds that are already especially loud or soft). They also intend to assure the treatment would last a lifetime. Lead researcher, Jeffrey Holt highlighted the potential to treat both blindness and deafness at the same time, as there are certain mutations that have been found to cause a condition of both. Holt predicts we could see clinical trials of the new treatment in as early as five years. Within the decade, hearing loss could begin to be treated at the source.